Johann Sebastian Bach composed the Partita No. 1 in B minor for solo violin, BWV 1002, in 1720. 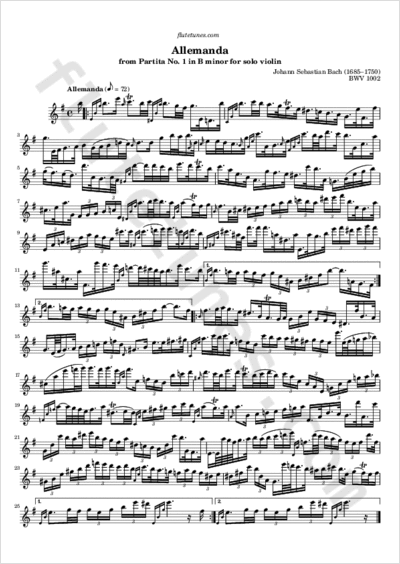 What we present today is a transcription for solo flute of the first movement of this Partita, the very rich-sounding allemanda. In order to fit the range of the flute, the piece has been transposed from B minor to E minor. Thanks to Brandon for suggesting this piece!